Mela Hoyt-Heydon has been designing costumes and make up professionally since 1976. 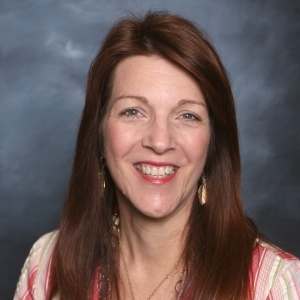 She has also been teaching in both of these areas since 1980, after she received her Masters of Fine Arts (M.F.A.) from the University of California at Irvine. Her designs have graced television, film, theatre, industrials, parades, commercials, print advertisement, theme parks, beauty pageants, galas, movie premiers, cruise line entertainment and a variety of independent clients. Organizations and companies Mela has designed for have included The Disney Corporation, Princess Cruise Lines, Sitmar Cruise Lines, Warner Brothers, Worlds of Wonder, McDonalds (those dancing Chicken McNuggets), Cosprop of London, South Bay Rep, Fullerton Civic Light Opera, Moonlight Amphitheatre, Beverly Hills Playhouse, La Mirada Theatre, Musical Theatre West, The Globe Theatre, South Coast Repertory, Darian Dinner Theatre, Sebastians, The Grand Dinner Playhouse, and the San Juan Capistrano Pageant to name a few. 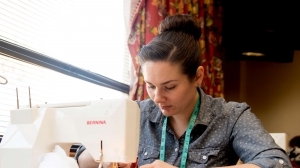 Mela has been a member of the Smithsonian's American History Research Expedition eight member team for the last two years, dealing with the Copp family textiles and their place in American costume history. She is also currently working on a book concerning men's tailoring, 1790 to 1820, and is scheduled to speak on this topic at several venues in the year 2001 including Deerfield Museum, Massachusetts and the USTT's annual conference to be held in Long Beach, California. Mela has been the Resident Designer for Fullerton College since 1980, where she is in charge of both the costume and make up departments along with the Costume Certificate Program. 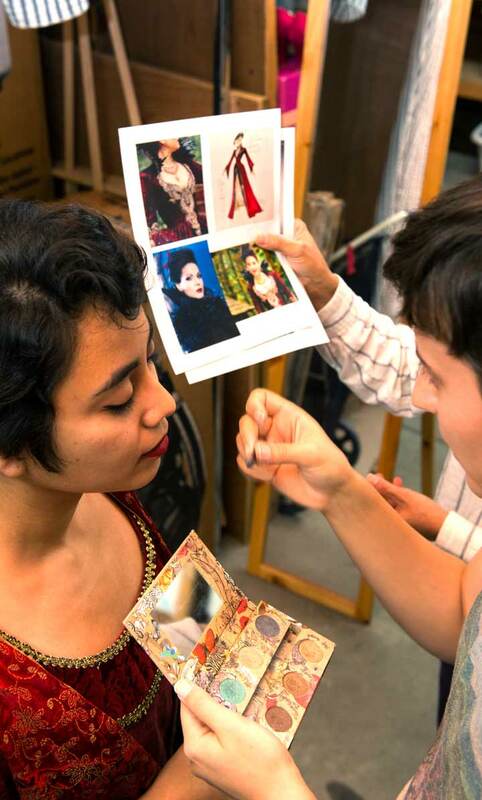 The Costume Design Certificate Program is a two year program designed for the student wishing to work in the entertainment industry as a costumer, costume assistant, cutter, first hand, craftsperson, milliner, head of wardrobe and technician. Mela also teaches Introduction to Theatre, a general education course open to all students and transferable to almost all Universities and Colleges. Mela is a union member of United Scenic Artists, local 829, the Costumers Guild, the United States Institute of Theatre Technology, on the board of the Costume Society of America, founder of Raiments (currently named Alter Years) and past Dean of Costume College. She is the recipient of four Dramalogue Awards, two Robbie Awards, and awarded Best in show and Best in Class for her 1880 bustle design at Costume Con 6, held in San Jose, California. She is also the proud mom of Alexander age 12 and Victoria age 8, who get the best Halloween costumes any kid could ask for.